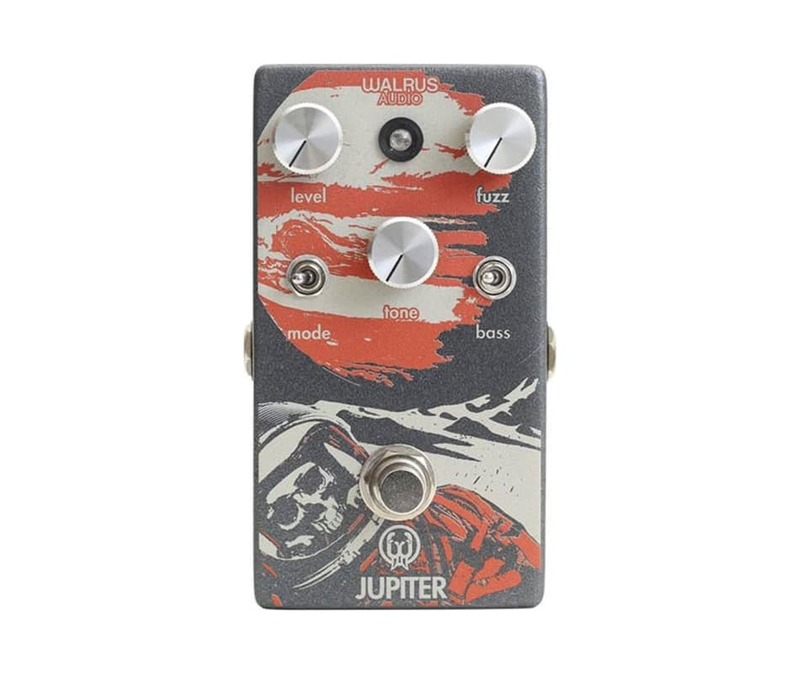 The Jupiter is a true bypass fuzz pedal inspired by the desire for gritty, thick and loud fuzz. Fuzz pedals tend to emphasize specific frequency ranges, which is both a positive and negative attribute. The Jupiters controls allow you the ability to dial in the right amount of fuzz with the right tonal quality to either stand out in the mix, or ride it out with the drums and rhythm. It includes a Mode switch that changes between three different clipping diode arrangements, providing more options and combinations of fuzz and tone and a Bass boost toggle switch for increased low end. Added gate control via internal trim pot to tame noise, or to achieve the spatty "dying battery"